Available with us is wide range of PMS Klippon manufactured using quality basic material procured from certified vendors. The Pioneer profile is such designed that it fixes to roof purlin or wall grit with fixing clips which are concealed during installation and require no fastening hole through the sheet. In Klippon fixing method there is no screw penetration as no screws are visible in the method. The clips gets fixed directly on the support with only two fasteners per clip thereby providing positive engagement in the ribs of the profile. Provides a quite roofing system particularly when used in combination with appropriate insulation systems. Kliplok Sheet Provided By Is Truly One Of The Most Cost Effective And The Grade One Metal Roof Systems. 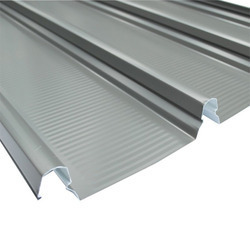 Pioneer India Is The Leading Metal Roof System Manufacturer, Metal Roofing System Manufacturer Offering Complete Metal Roof System, Metal Roofing System, Metal Roof System In India. Positive Side rib interlocking with cocealed lips. Custom cut lengths to prevent waste. High Performance sheeting with excellent corrosion resistance. Concealed Fastening- no Fastener penetrate the profile. 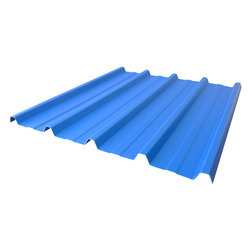 Looking for Klippon Screwless Roof Sheet ? Thermal Insulation Materials for roofing.